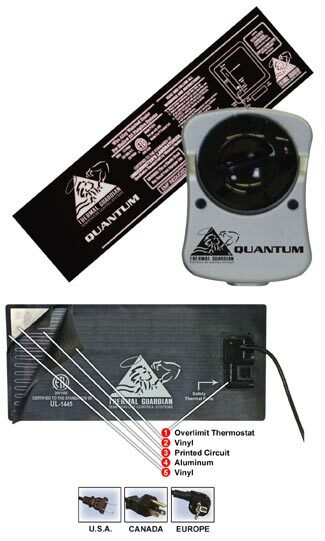 Certified to the standards of the Underwriter's Laboratories for Waterbed Heaters #1445. 18 Gauge power cord 32-guage Nickel/Copper flexible circuitry Larger Pad with 64-guage. Thermal Fused Duraflex® Vinyl Premiere Cream Control Base. Available in High Watt models for Wood Framed Waterbeds and High and Low Watt models for Soft-Sided Waterbeds. All Wood Framed Waterbeds use the High-Watt Heaters. Soft-Side Waterbeds that are 8 inches vertical depth or more use High-Watt Heaters. All other Soft-Sided Waterbeds will use Low-Watt Heaters. as well as many different Safety Liners for Soft-Sided Waterbeds.